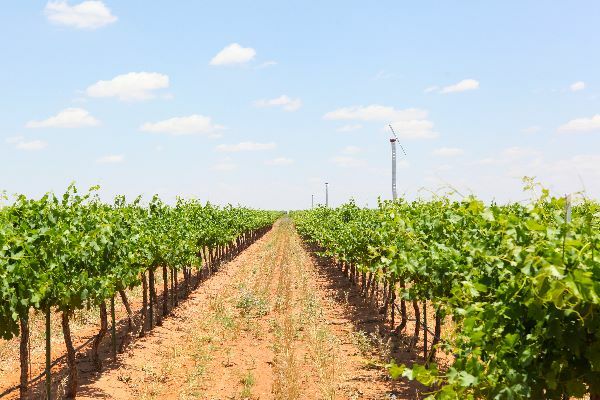 Passionate Texas wine lovers know Lost Draw Vineyards, established in 2006 in the Texas High Plains AVA, as the source of quality grapes to many of the state’s finest wineries. Vineyard owner and grape farmer Andy Timmons is now the largest grape farmer in Texas, owning and managing over 500 acres, producing over 30 varietals. Andy and his team opened Lost Draw Cellars in Fredericksburg in 2014. The new tasting room is located just a few blocks from Main street, offering wine tastings, and wine by the glass or bottle. The Lost Draw team also includes Andrew Sides, nephew to Andy Timmons; his wife Callie Sides, a 7th generation native of Fredericksburg and Troy Ottmers, father of Callie and a board member of the Texas Center for Wine and Culinary Arts. © 2018 Wine Road 290 – All Rights Reserved.